Canadian cannabis company Invictus is acquiring Kelowna, B.C.-based vertically integrated cannabis company GTEC Holdings to form Western Canada’s largest indoor vertically integrated cannabis company. The $100-million acquisition would bring forward a company focused on producing premium flower and complementary product portfolio, cultivated in purpose-built indoor facilities complemented with superior genetics, according to a release. The company will have 400,000 square feet of funded purpose-built indoor cultivation which spans across British Columbia, Alberta and Ontario. Its diverse range of products and brands will be paired with a portfolio of more than 80 strains. The new facility will be EU-GMP certified to meet the requirements of the European Union markets. 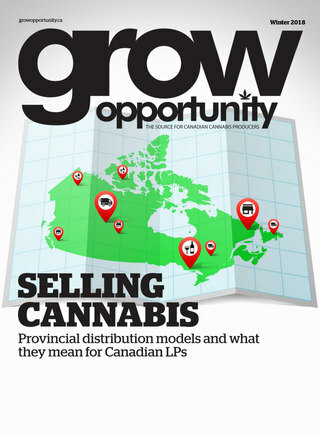 There will also be more than 30 retail stores located across British Columbia, Alberta and Saskatchewan, and an e-commerce website to service the non-medical market in Saskatchewan. In addition, there will be two purpose-built state of the art extraction labs, an analytical testing lab, and a combined senior management team with pedigree from some of the world's largest food & beverage, wine & spirits and tobacco companies, including Phillip Morris International, Diageo Plc and Saputo Inc.
"We have been pleased with the continued execution of the team and business strategy at GTEC," said George E. Kveton, chief executive officer of Invictus. "The dedication to producing a premium product medical and adult-use recreational portfolio for the industry has always been our relentless pursuit. This merger allows for both companies to leverage the combined core competencies to further execute our vision to be at the forefront of the Canadian cannabis industry and beyond." For the six months ended July 31, 2018, Invictus generated unaudited revenue and EBITDA of $1.8 million and $9.3 million, respectively. Invictus had $10.7 million in cash as at July 31, 2018. For the nine months ended Aug. 31, 2018, GTEC had no revenue and unaudited EBITDA of $7.2 million. GTEC had $4.4 million in cash as at Aug. 31, 2018.